Limited Edition, limited to 50 copies Worldwide. 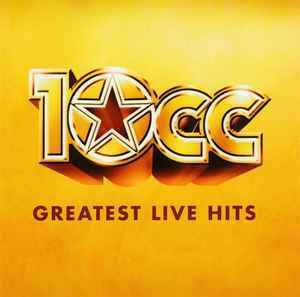 Combines tracks from the earlier 2 Concert Live 10cc releases (Alexandra Theatre, Birmingham 08.03.2011 & Regent Theatre, Ipswich 26.03.2011) plus another concert recorded at the Grand Opera House, York 26.02.2011. 1-1, 1-4, 1-8, 2-2, 2-4 & 2-8 Grand Opera House, York 26.02.2011. 1-2, 1-5, 1-7, 2-1, 2-5 & 2-7 Regent Theatre, Ipswich 26.03.2011. 1-3, 1-6, 2-3 & 2-6 Alexandra Theatre, Birmingham 08.03.2011.